As most people know, apples come in many varieties and tastes, some ideal for eating right off the tree and others better for baking and cooking. There are the household names – such as Gala and Delicious – but also many varieties that most people haven’t heard of or tried. 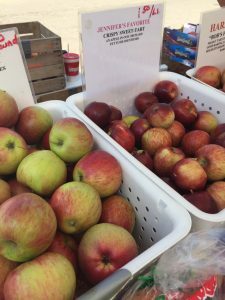 In a recent trip to the Hilldale Farmers’ Market we found a vendor selling “Jennifer’s Favorite Crispy Sweet-Tart – an apple in our orchard yet to be identified”. We thought that was very cool to see something grown that’s unique to an orchard and not mass-produced. We, of course, bought some and they are very tasty! Apple varieties are also ready at different times in the fall. 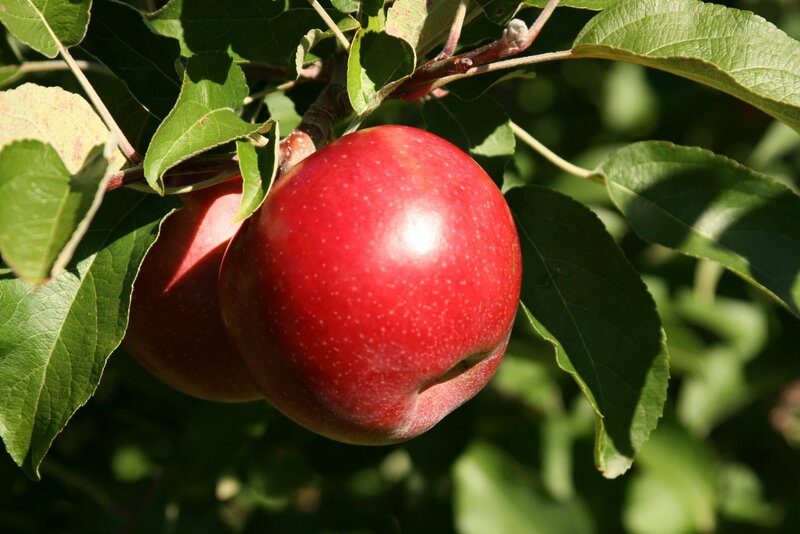 Familiar names such as McIntosh, Gala, and Honeycrisp are already sitting on the trees ready to be picked or already harvested. Others such as Delicious and Jonagold are just about ripe now or in the next couple of weeks. So if you want to pick up some local apples this season – whether at a farmers’ market or an orchard – you should be planning a trip very soon. Eplegaarden, 2227 Fitchburg Road, Fitchburg. Eplegaarden has been one of the top spots for apple picking in the Madison area for several years. They have activities for kids and offer a fun Norwegian flair to everything they do. It’s also easy to get to from downtown Madison and the west side. Because of its popularity, it can get busy on weekends this time of year. So we suggest you plan a weekday trip if you can or arrive early on a weekend. 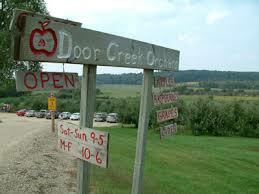 Door Creek Orchard, 3252 Vilas Road, Cottage Grove. Door Creek Orchard caters a little more to couples or adults seeking to get out to an orchard to pick apples and enjoy time outdoors on a farm. 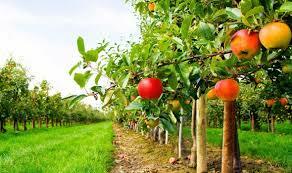 The orchard is very knowledgeable about apple varieties with an admirable dedication to heirloom varieties. Sutter’s Ridge Orchard, 2074 Sutter Drive, Mt. Horeb. Sutter’s Ridge is a wonderful small family farm that offers both a relaxing apple picking experience along with some family activities such as a corn maze and wagon ridges. Plus, we love the drive down 151 to Mt. Horeb in the fall – it’s a quintessential Wisconsin vista. If you have time, it would be worth driving a little farther and spending time in Mineral Point, a delightful community with many local artists. We hope you find time to experience the apple season this year in Madison. If you need suggestions, please ask us during your stay at the inn. And if you come home with more apples than expected, we’d also like to share the following recipe for Apple Cake that will make your kitchen smell like autumn and will be delicious as well! Enjoy! Beat oil, sugar, eggs and vanilla on low speed until creamy. Add dry ingredients a little at a time and beat well after each addition. Fold in fruit and nuts. It’s a very thick batter. Bake in bundt pan for 45 minutes at 350 degrees and test cake. Bake at additional 5-minute increments if cake is still not baked all the way through.